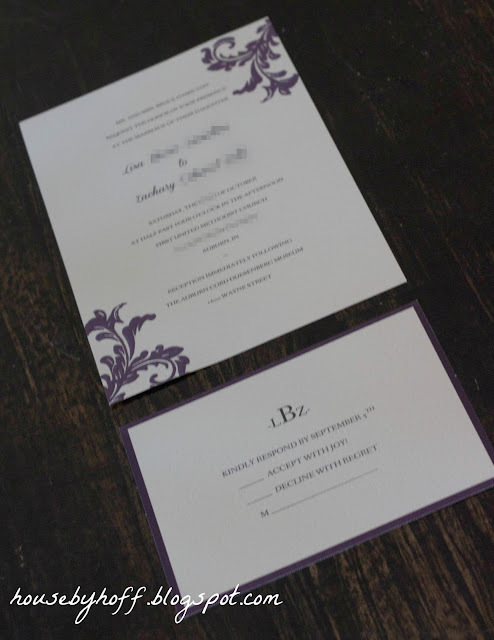 Our latest money-saving trick for my sister’s wedding is buying store-bought invitations, but customizing them to fit her vision! My sister chose these invitations from Michael’s. They were $40 a box, but with a 40% off coupon, they were only $25ish a box! Coneria Script and Fanwood. Both can be downloaded for free! The purple ribbon came with the invitations. 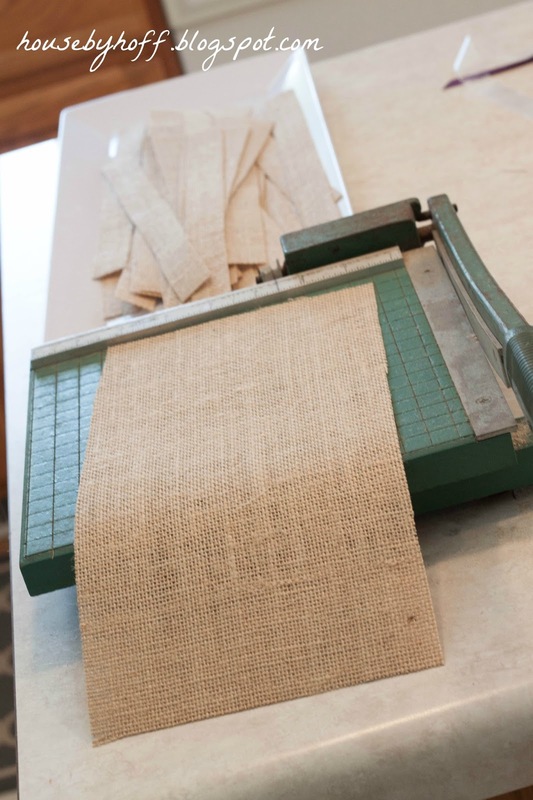 Lisa wanted to add a strip of burlap and a monogram. We found 12″x12″ sheets of burlap in the scrapbook paper section of Michaels for $1 apiece (on sale). Using my paper cutter, we cut them into 1″ strips. We used 12 sheets. 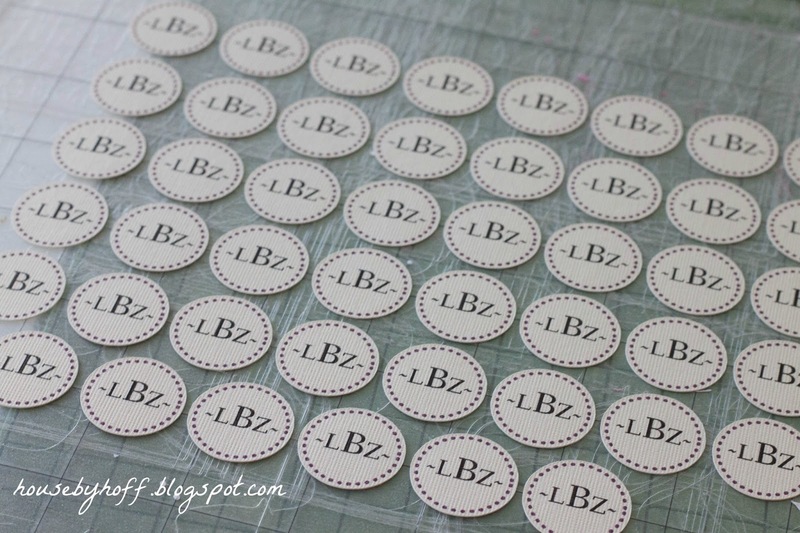 Using my beloved Silhouette Cameo, I created these monogram circles. We probably spent $5 or less on scrapbook paper to make these labels. *If you don’t have a Silhouette Cameo, you could make something similar by creating a monogram circle on a Word document, then using a circle punch to cut them out. 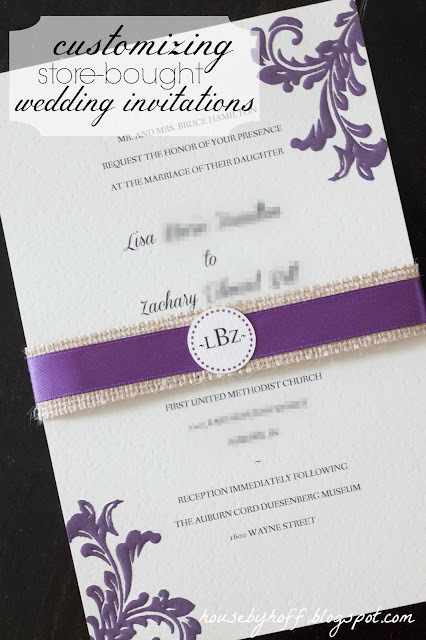 We used a combination of Zots and double-sided tape to put together the bands and attach them to the invitations. 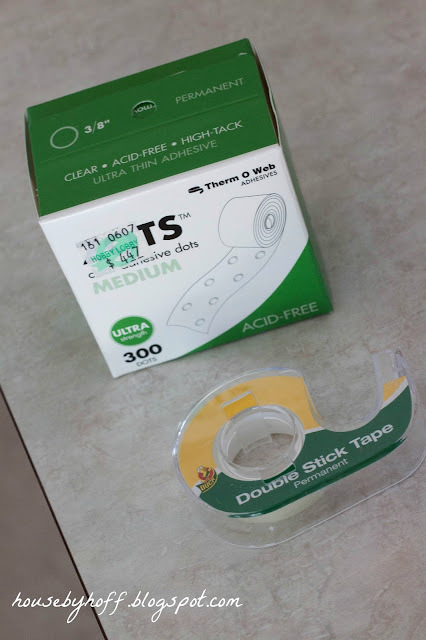 Estimated cost of Zots and tape = $15. 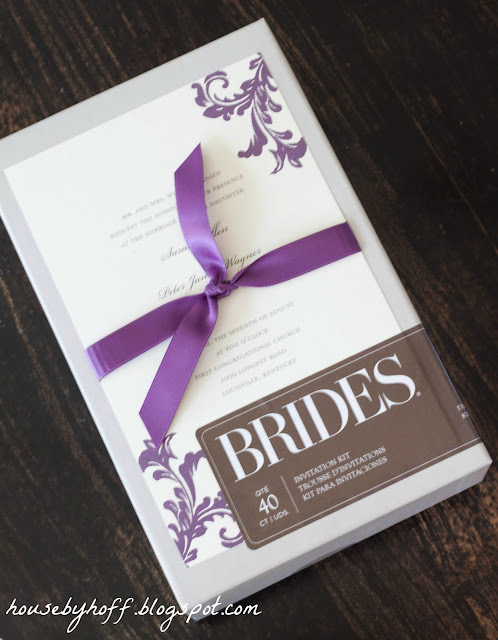 So, we spent less than $150.00 on wedding invitations! Beautiful! So excited for Lisa. They turned out SO cute! My mom and I made a lot of stuff for my wedding and I loved it because it felt so personal. If these are any indication of what the wedding is going to look like, I know it will be gorgeous! The Monogrammed Circles, did you print them with your silhouette cameo? And what font did you use on the circles, and did you use a cameo sketch pen?